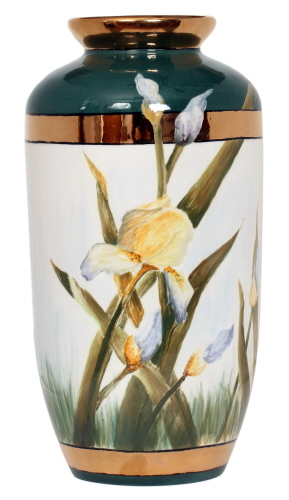 Hand-painted Iris flower design porcelain vase, with gold leaf inlay bordering. Flowers are depicted in various stages of blooming in light blue and yellow. 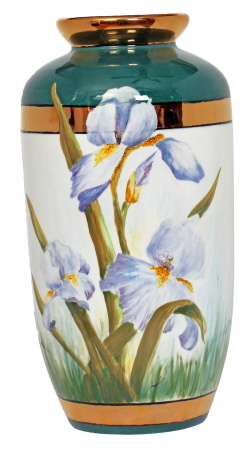 Stands at 12” tall. 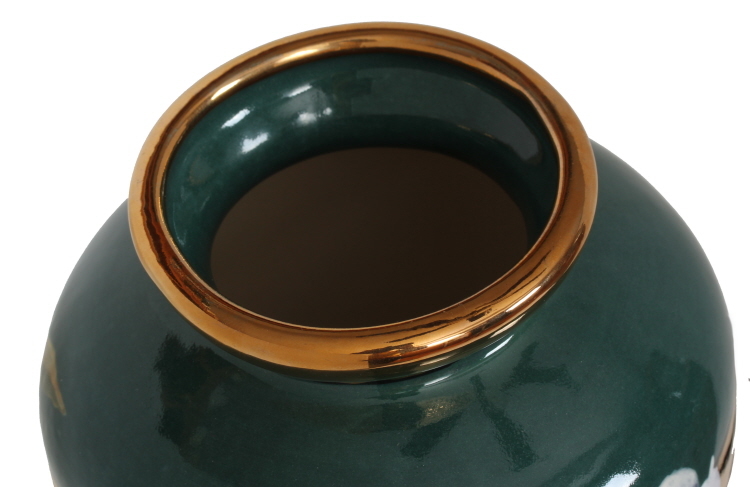 Top circumference is about 19 ¼” tapering down to about 14.” The top opens to about 3¼” in diameter. The amount of flowers that can be placed in this vase cannot exceed more than 2¼” round.